It was that time of the month again – the Local Taphouse in St Kilda was having their monthly beer tasting night they call ‘Ale Stars’. I loved the first one I attended last year on festive ales, so bought my ticket nice and early and met up with a few friends for a good tipple. 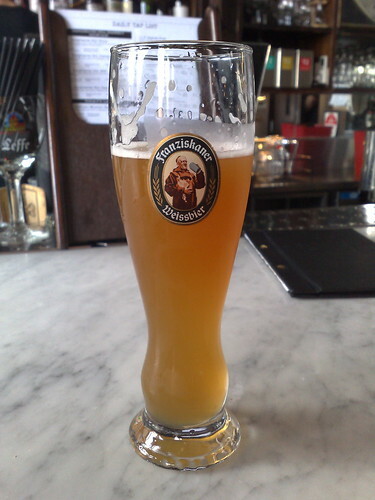 To start off my evening, I ordered a wheat beer. I’ve really come around to them in the last few months, probably as a result of visiting the Red Hill Brewery, and also because of attending the Victorian microbrewers’ showcase last year in October. They finally let us in downstairs and proceedings began. 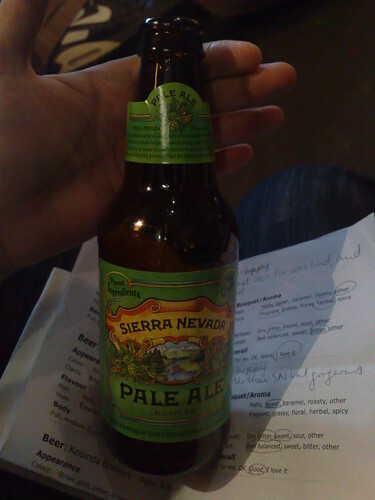 First up, the esteemed Sierra Nevada Pale Ale. My personal tasting notes from the night tell me that this is the ‘manliest’ beer I’ve ever had, and ever enjoyed. Generally, when I say ‘manly’ what I really mean is the hops are very evident – on my palate this means bitterness. However, I am gradually coming to find this very bitterness extremely refreshing. It also creates a very floral, fragrant bouquet. Next up, the Little Creatures Pale Ale. I was lucky enough to speak to both of the guest brewers, one of whom recommended the LC PA as an excellent starting point for beer newbies. I myself personally prefer their Bright Ale but that was probably because of my ex-housemate who brewed a superior clone of it. One of my favourite summer beers. No picture of the bottle this time, as all Ale Stars had it on tap. Hoppy, but definitely a subtler beer to the SNPA (it’s not hard!). Then we were treated to the lads at Kooinda Brewery. Much to my shock and amazement, this humble little microbrewery operation is just a few suburbs away from where I currently live (they are located in Rosanna)! A few of us in my group got quite excited about that. We then got to taste their award-winning Pale Ale, which earned the brewery a bronze medal in the American Pale Ale international category. My notes tell me that it is the crystal Vienna malts that give it its caramelly quality, and I remember only once we were directed to pay careful attention to the bouquet that yummy apricot was present, mmm. They also use local hops. You can find Kooinda online and on Twitter at @kooindabrewery. Last up, the first craft beer in Australia – the Matilda Bay Alpha Pale Ale. No picture as this was on tap at the Local. This was actually my least favourite of the ones we tested that evening…its flavour seemed somewhat thinner, less intense? Perhaps it was just palate fatigue. I’m not quite sure, to be honest. 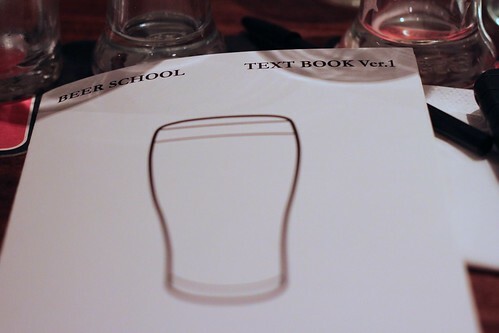 I do know that I need some help with describing beer taste better and intend to do some research and reading. 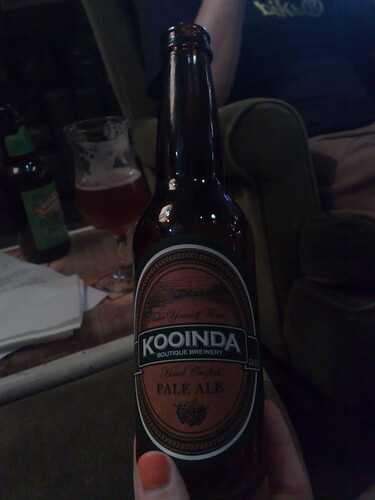 The lads at Kooinda made sure we all got more of their Pale Ale after proceedings proper, and there were no complaints there. It was lovely to chat to so many friendly and passionate people – not just in the industry, but the fellow Ale Stars too. Newly arrived Tim from the UK was working the crowd a treat and seemed to feel right at home. I’m looking forward to next one on sour beers but expect my palate to be further challenged. As promised, I’ve picked up my photo game, and tried to get some better shots of the event, which you can view below. 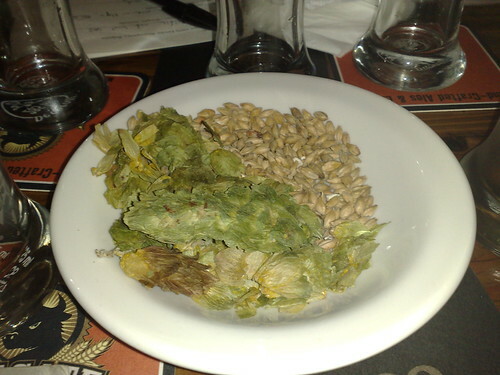 This entry was posted in craft beer goodness and tagged Ale Stars, American pale ales, beer tasting, Kooinda Brewery, Melbourne, pub, St Kilda, The Local Taphouse on February 3, 2010 by gem.